Summary and Definition: The Selective Service Act, aka Selective Draft Act, was enacted on May 18, 1917 requiring all men between the ages of 21 and 30 to register with locally administered draft boards for military conscription by national lottery. The age limits for the draft were later extended to include all men from ages 18 to 45. President Woodrow Wilson reluctantly accepted the recommendation for the new draft law by Secretary of War Newton D. Baker. The law was drafted by General Enoch H. Crowder, the Judge Advocate General of the United States Army, and Captain Hugh Johnson. The Selective Service Act, aka or Selective Draft Act, was canceled with the end of World War 1 in November, 1918. Woodrow Wilson was the 28th American President who served in office from March 4, 1913 to March 4, 1921. One of the important events during his presidency was the Selective Service Act. Fast, fun facts and Frequently Asked Questions (FAQ's) about the Selective Service Act. Why was the Selective Service Act passed? The Selective Service Act was passed because when the United States entered WW1, on April 6, 1917, there were only 110,000 servicemen who could be deployed to join the war. There was an immediate call for volunteers but, only 73,000 volunteers enlisted out of the initial 1 million target in the first 6 weeks of the war. What was the Selective Service Act? The Selective Service Act required all men between 21-30 to register with locally administered draft boards for federal military conscription by national lottery. 1917 Selective Service Act - Draft Boards: The Draft boards were a part of the Selective Service Act which registered, selected or rejected men of military age for conscription in the United States armed forces. The Draft boards were responsible for the initial registration and selection to the actual delivery of men to military training camps. The Selective Service System was made up of 52 states and 4,648 local boards. The following fact sheet on the 1917 Selective Service Act, aka Selective Draft Act, contains interesting facts and information about the World War 1 Draft. Selective Service Act Fact 1: Conscription was first implemented in the United States during the American Civil War (1861–65). The 1917 draft differed from the Civil War draft in that substitutes could not be hired to take the place of a drafted male. Selective Service Act Fact 2: World War 1 began in Europe on July 28, 1914 and the United States entered WW1 on April 6, 1917. WW1 ended on 11 November 1918. Selective Service Act Fact 3: The law was entitled: "An Act to authorize the President to increase temporarily the Military Establishment of the United States". 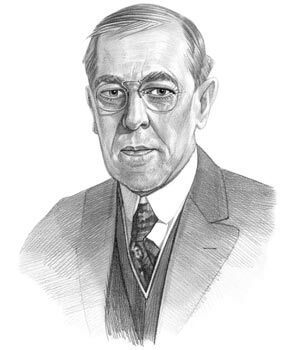 Selective Service Act Fact 4: President Woodrow Wilson had hoped that the response for the call for volunteers to fight in WW1 would be sufficient to avoid the enactment of the Draft. 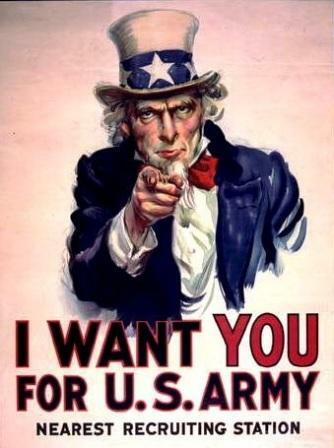 Selective Service Act Fact 5: Selective conscription was put into effect with a national lottery to fix the order of military liability for the 10,000,000 Americans registered for service. The lottery randomly determined the order men were called before a local draft board in charge of selecting, or exempting, people from military service. Selective Service Act Fact 7: The spirit of patriotism during World War I led to a high success rate, with fewer than 350,000 men dodging the draft. Selective Service Act Fact 8: World War I draft registration cards were completed by approximately 24 million men living in the U.S. (98% of the male population) in 1917 and 1918. Selective Service Act Fact 9: World War I draft registration cards provided details of name, birth date, birth location, father's birthplace, and the address of next of kin. Selective Service Act Fact 10: Aliens were required to register but were not subject to induction into the American military. The following fact sheet on the 1917 Selective Service Act, aka Selective Draft Act, continues with interesting facts and information about the World War 1 law and the Draft Boards. Selective Service Act Fact 11: Only a small percentage of men who registered for the draft were actually called up for military service. Selective Service Act Fact 12: The official drawing of numbers to determine the men of the country to constitute the first draft for the National Army was July 1917. Selective Service Act Fact 13: Draft Boards: Not all of the men who registered for the draft actually served in the military and not all men who served in the military registered for the draft. Selective Service Act Fact 14: Local Draft Boards: The function of the local draft board was the registration, rejection and selection of men of military age to the US armed forces. The local draft board was also responsible to the government for the mobilization to the military training camp. ● Class 2: Temporarily deferred, but available for military service. ● Class 3: Exempted, but available for military service. ● Class 5: Ineligible for military service. Selective Service Act Fact 18: Local Draft Boards: Some of the largest US cities had over 50 local draft boards. Selective Service Act Fact 19: District Draft Boards: A district appeal board was established in each Congressional district to hear appeals from the decisions of the local draft boards. A final appeal from the district boards' decisions could be made to the President of the United States. Selective Service Act Fact 20: The activities of the Selective Service System of WW1 were terminated at the end of the Great War. The article on the Selective Service Act provides detailed facts and a summary of one of the important events during his presidential term in office. The following Woodrow Wilson video will give you additional important facts and dates about the political events experienced by the 28th American President whose presidency spanned from March 4, 1913 to March 4, 1921.